Nancy Harris is on mission to disrupt the way we work! She is a leadership development coach specializing in diversity, host of The Leadership Download, facilitator, writer and co-founder of DisruptHR Chicago. 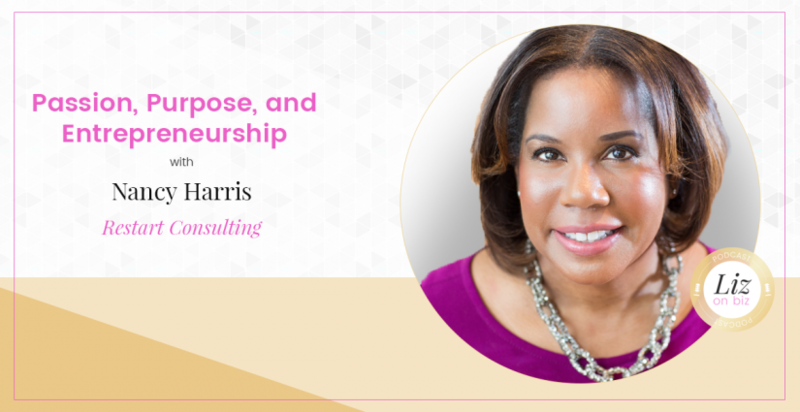 Before she ventured into entrepreneurship, she was an HR leader and management consultant for Fortune 500 companies such as Ford Motor Company, Accenture, Motorola and Pfizer. She now offers career and leadership consulting, diversity coaching and online workshops that help diverse leaders advance, excel and find their true voices. [7:50] – Where you work – does this define you as a person? [10:29] – Where do work and purpose intersect? [13:06] – It isn’t just work that is changing, it is what workers want that is changing. [16:56] – Nancy’s target market evolution. [20:10] – Starting the Leadership Download – where her YouTube channel came from. [27:30] – How to deal with trolls and haters. [28:30] – That time she sold out her first event. [35:31] – What makes an event a good event? [39:00] – Nancy’s last words.